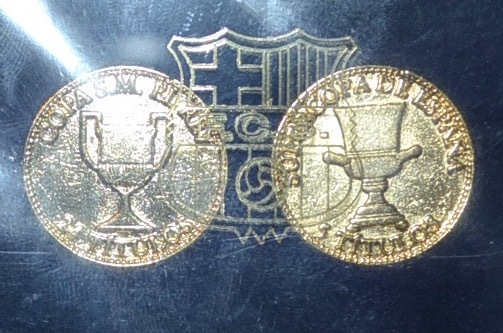 A CD case containing a set of 24 carat gold plated coins that show each trophy that Barcelona has won. Created by Mundo Deportivo magazine I am niot sure of the exact age of this set - any knowledge welcomed. 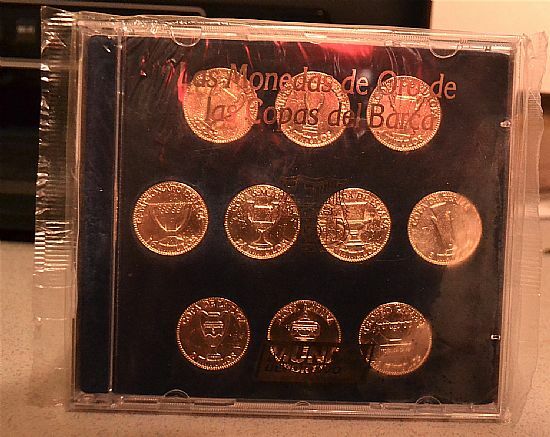 A complete CD case set of ten 24 ct gold plated coins showing each different trophy won by Barcelona. 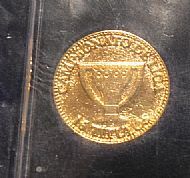 Still sealed in cellophane. 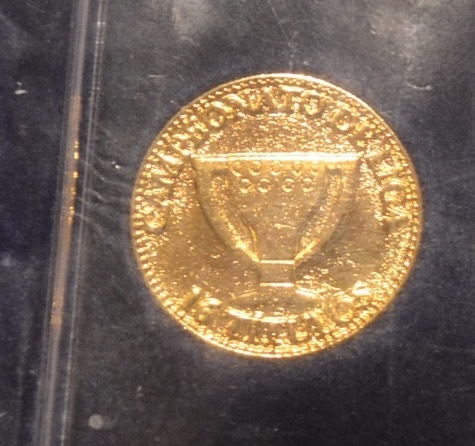 Tough to get a good photo through the cellophane!